Cloud-dew architecture is a fundamental computing architecture that concerns the distribution of workloads between cloud services and local computers. This new architecture is an extension of the client-server architecture which is the cornerstone of modern computing applications. In the extension, servers are further classified into cloud servers and dew servers. The newly-proposed dew servers are web servers reside on local computers. The cloud-dew architecture not only makes the personal data stored in the cloud continuously accessible by the user, but also enables a new application: web-surfing without an Internet connection. Although cloud-dew architecture was proposed to make websites available without an Internet connection, its usage is not limited there. Cloud-dew architecture can also be used as the framework for Internet of Things (IoT) applications. Cloud-dew Architecture and its applications also lead to the creation of a completely new area: Dew Computing. This website is maintained by the Dew Computing Research Group. Our perspective of the cloud-dew architecture and its applications is described here. 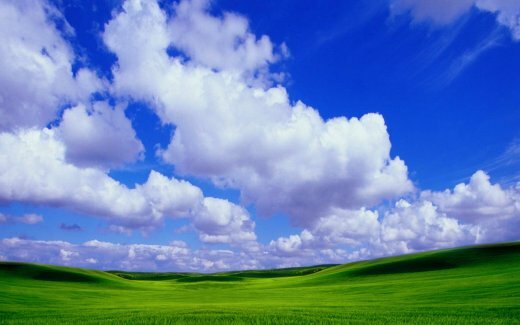 The ideas of cloud-dew architecture and research results are reflected in the following documents. is the paper which describes the cloud-dew architecture. It was submitted in Jul. 29, 2013 and was accepted in Aug.19, 2014 after a 13-month long rigorous peer-review process, and made publically online shortly after. It was officially published in 2015 (Vol. 4, No. 3). It is also available here. Q & A section contains some discussions about various aspects of the cloud-dew architecture. is a vision paper which describes the relationship between cloud-dew architecture and distributed database systems. Yingwei Wang, "Cloud-Dew Architecture", International Journal of Cloud Computing, Vol. 4, No. 3, pp.199-210. Yingwei Wang and Yi Pan, Cloud-dew architecture: realizing the potential of distributed database systems in unreliable networks, the 21st International Conference on Parallel and Distributed Processing Techniques and Applications (PDPTA'15 ), Las Vegas, Jul. 2015. Science Spot, "Dew helps ground cloud services". ACM TechNews, "Dew helps ground cloud computing". US News, "Dew Architecture helps Ground Cloud Computing". Science Daily, "Dew helps ground cloud computing". EurekAlert, "Dew helps ground cloud services". Phys.org, "Dew helps ground cloud services". ScienceNewsline, "Dew helps ground cloud services". CrazyChucks.com News, "Dew helps ground cloud services". Scientific Computing, " Dew Architecture helps Ground Cloud Services". News Search and Analytics, "Dew Architecture helps Ground Cloud Computing". Web Culture, "Dew Architecture helps Ground Cloud Computing". Bright Surf, "Dew Architecture helps Ground Cloud Computing". Brunch News, "Dew Architecture helps Ground Cloud Computing". ICT Procurement, "Dew Architecture helps Ground Cloud Computing". Seznam, "Dew Architecture helps Ground Cloud Computing". Science News, "Dew Architecture helps Ground Cloud Computing". Make Me Feed, "Dew Architecture helps Ground Cloud Computing". News Locker, "Dew Architecture helps Ground Cloud Computing". Press News, "Dew Architecture helps Ground Cloud Computing". Cloud Cow, "Dew Architecture helps Ground Cloud Services". Outlook Series, "Dew helps Ground Cloud Computing". Snewsi, "Dew helps Ground Cloud Computing". My Informs, "Dew helps Ground Cloud Computing". Technobahn, "Dew helps Ground Cloud Computing". Top Web Designer, "Dew helps Ground Cloud Computing". Nuzzel, "Dew helps Ground Cloud Computing". CloudPsi, "Dew helps Ground Cloud Computing". MEDICININFOS, "Dew helps Ground Cloud Computing". Primeur Magazine, "Dew helps Ground Cloud Computing". WeSrch, "Dew helps Ground Cloud Computing". usadye.ru (Russian Site), "Dew Architecture helps Ground Cloud Computing". An India site in Japanese. A few applications are under development. HT-Space: HT-Space was the first cloud-dew architecture experimental system. It is still working, especially it works even no dew server was installed in the local computer. It is here mainly for archive purposes. Note: HT-Space does not require registration. You can login to HT-Space using your OpenID. We won't know your password. Your OpenID provider will handle all your credentials.